TSE 1007: Is It Possible To Have A "Perfect Day" In Sales? 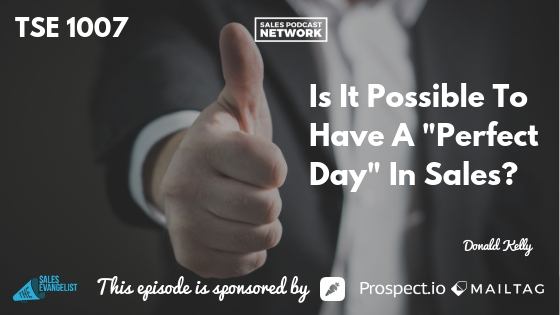 Home » TSE Podcast Post Page » TSE 1007: Is It Possible To Have A “Perfect Day” In Sales? Is it possible to have a “perfect day” in sales? Phone calls from prospects just as soon as you walk into the office … demonstrations are set … proposal reviews are awesome; everything is smooth sailing. 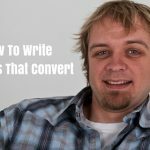 What would it take to have that perfect day in sales? Do we have control over any of the elements? I think so. There was an awesome older lady in our congregation who recently passed away. During the eulogy, her daughter shared a story about her mom who was, apparently, quite a perfectionist. She always looked great. Everything was always on point. One day when the daughter was leaving for school, the mother noticed that the daughter had only ironed the front side of her skirt. As the daughter explains, she didn’t see any reason to iron the back of the skirt because she was going to be sitting down at school, nobody was going to see it. It just didn’t matter. She was right. If you want something to work out well, it isn’t going to happen by accident. The perfect job, the perfect marriage – the perfect day in sales – do not happen by accident. You have to do something to make it work. None of us will be perfect but we can get close. We can get results if we put in the work. Michael Jordan, Lebron James, Serena Williams, Oprah Winfrey, Steve Jobs, Usain Bolt, Mother Teresa … They are all arguably the best in their chosen fields because they put in the work. Certainly, you’ve noticed the sellers in your organization who always seem to have the perfect day; everything always seems to work out for them. How do they do it? They are prepared. They know that the perfect day in sales will not happen by accident. Do all you can now to have appointments for next month. Maybe that means going early to the office to respond to the leads that came in overnight and get ahead of the competition. Make the calls. Make the follow-ups. Do the work so the results will come. The perfect day in sales will come. We just published our 1,000th episode. That is five years worth of content and we’ve been fortunate to be covered by Huffington Post, Hubspot, and Entrepreneurial Magazine. Some people might think that we just got lucky. But in truth, it happened because we put in the work. When this first started, I also worked a full-time day job. I used my lunch break to schedule podcast interviews. Then, I would find park my car near a spot with good WiFi and record interviews with my guests over Skype. As a salesman, I became of the top performers in my company. Again, not because I was lucky or because management liked me more. It was because I went to work early, I studied the sales content, I understood the sales process. I learned from the different departments and I made sure I knew what was happening in the industry. My company and my podcast aren’t perfect but we are striving for it every day. We put in the work towards reaching the perfect result, the perfect company, the perfect podcast. Put in the hustle. This is not a New Year’s Resolution type thing that lasts a few months. It has to be a desire. You have to want to achieve the perfect day in sales. It is going to take work. It is going to take sacrifice. 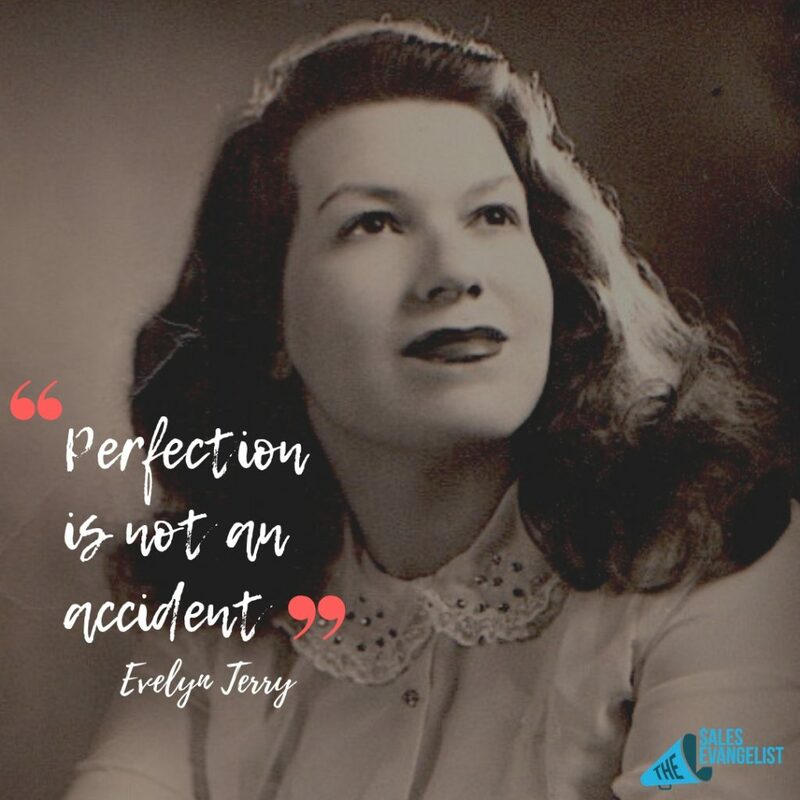 Thank you to Evelyn Terry. She was an amazing woman. Perfection doesn’t come by accident. Evelyn left a legacy and a fire burning. Email me at Donald@thesalesevangelist.com or on LinkedIn. I’m also on Instagram and Twitter. If you haven’t already done so, subscribe to the podcastso you won’t miss a single episode, and share with your friends!